These cookies are my go to anytime I need a delicious dessert to bring to a dinner party. They are moist, rich, and absolutely adorable! One of the easier cookies to make, I recommend this recipe for a beginner at baking. 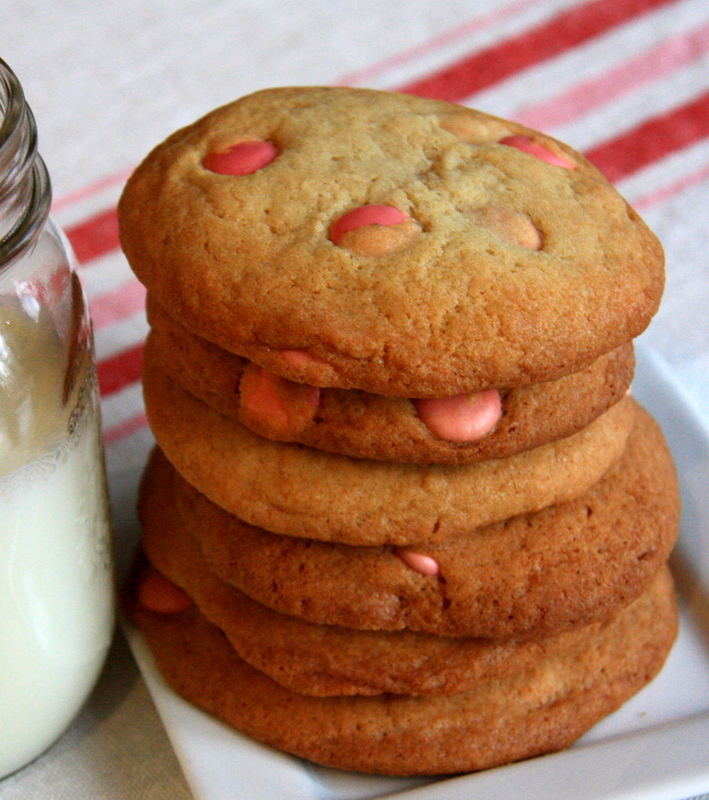 I adapted this recipe from the chocolate chip cookie recipe found on the back of Ghiradhelli chocolate chips, so smarties can be easily swapped for chocolate or any other treat you can think of! Feel free to use all the smarties in the package… I just happen to love pink! Using a spatula fold in the smarties. To make a large cookie, scoop out, approximately 3 tablespoons of the batter and the roll into a ball and place on a cookie sheet lined with parchment paper. Flatten each ball with a lightly moistened hand so the batter does not stick. Bake for 12-15 minutes until golden brown. Cool on a cooling rack. These cookies will spread during baking so make sure you leave enough space in between the flattened balls of dough.